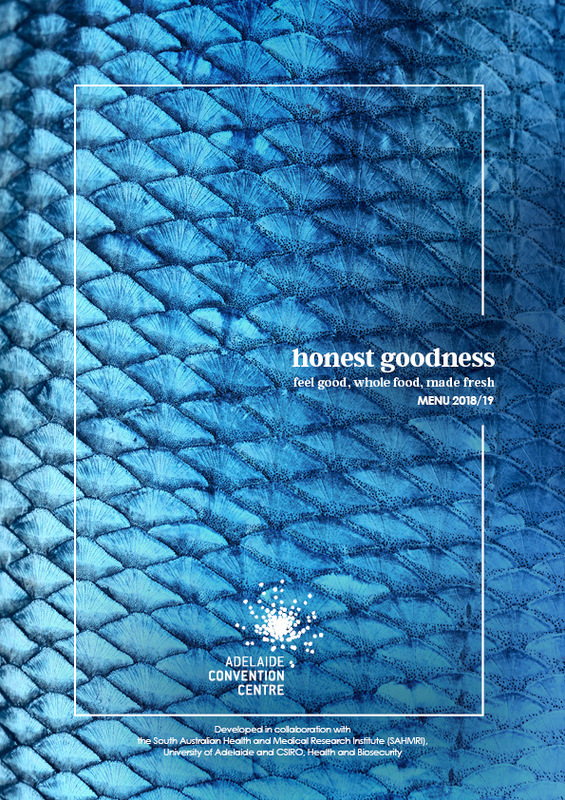 The Adelaide Convention Centre is proud to unveil its all-new menu, Honest Goodness. In this newly reinvented menu, nature is the hero. Developed by our Executive Chef, Gavin Robertson, in conjunction with leading nutritional experts at the South Australian Health and Medical Research Institute (SAHMRI), the University of Adelaide and CSIRO, Health & Biosecurity, it is packed with authentic, wholesome foods sourced from local sustainable environments. It focuses on Honest Goodness – feel good, whole food, made fresh – achieved using minimal intervention foods and artisan produce, along with an unwavering commitment to ‘house-made’. The result is memorable, restaurant-quality dishes that are not only nutritionally-balanced but full of flavour.